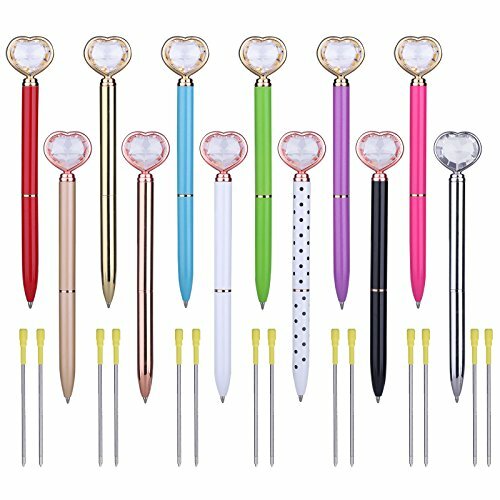 Specification: ● Dimension: 14*0.9cm/5.51*0.35inches ● Material: Aluminum ●Color: Rose gold, Silver, White with dot Package Includes: 3Pcs × Ballpoint pen Notice: Color may be vary slightly due to different production batch and the color calibration of each individual monitor, please refer to the real item you receive. Satisfaction Guaranteed: ● 30-day money-back guarantee for any reason ● 18-month warranty for quality-related issues we take care of all quality-related issues with a replacement or full refund. If there is any question, please feel free to contact us. We'll offer you the best solution. You're looking at some of the most elegant pens out there. Definite conversation piece. Designed with a lovely heart shaped crystal diamond. 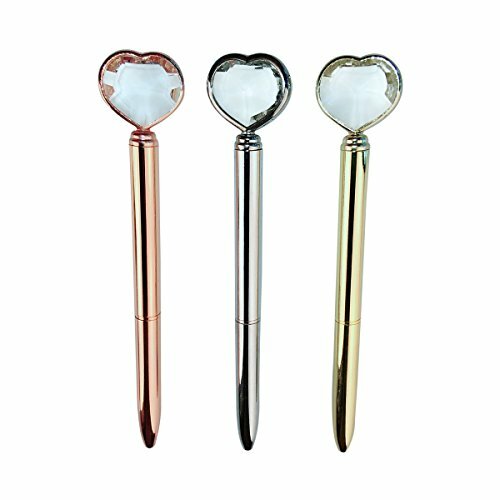 If it's style they want, you'll give them just that and more with these heart shaped crystal pens. 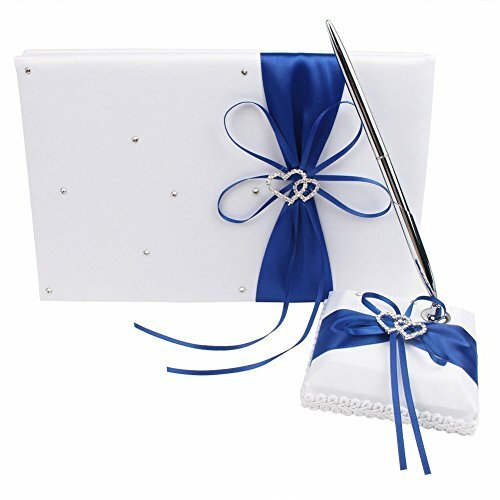 2Pcs/lot Romantic Wedding Decoration Set Rhinestone Stain Wedding Guest Book + Pen + Pen Stand for Wedding Party DecorDimension(approx):Guest Book: 10" x 6" / 25cm x 16cm (L x W)Pen Set: 3.5" x 3.5" x 6.7" / 9cm x 9cm x 17cm (L x W x H)Color: White satin and royal blue / deep blue ribbonCover Fabric: SatinEmbellishment: Rhinestone, RibbonPackage content:1 *Guest Book1* Pen SetNote:Due to the difference between different monitors, the picture may not reflect the actual color of the itemPlease allow slight dimension difference due to different manual measurement. Thank you! Specification: ● Dimension: 14*0.9cm/5.51*0.35inches ● Material: Aluminum ●Color: White Package Includes: 8Pcs × Ballpoint pen Notice: Color may be vary slightly due to different production batch and the color calibration of each individual monitor, please refer to the real item you receive. Satisfaction Guaranteed: ● 30-day money-back guarantee for any reason ● 18-month warranty for quality-related issues we take care of all quality-related issues with a replacement or full refund. If there is any question, please feel free to contact us. We'll offer you the best solution. 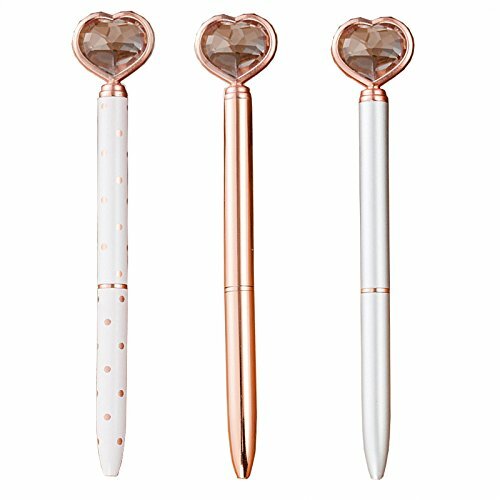 iBiubiu Ballpoint Pen with Heart Shaped Diamond Crystal, Bling Metal Ball Pens for School Office Wedding,1.0MM, Black, 5-Count Features: 1.Versatile 1.0mm medium point pens is perfect for everyday use; 2.Professional & Elegant Diamond Crystal Design, iBiubiu Retractable Ballpoint Pens offer a smooth writing experience; 3.Slim & Lightweight, so that you can carry around in your pocket, purse, wallet, or handbags; 4.The black velvet bags included with each pen make them great gifts for any occasion! Perfect for your kids, friend or personal collection. 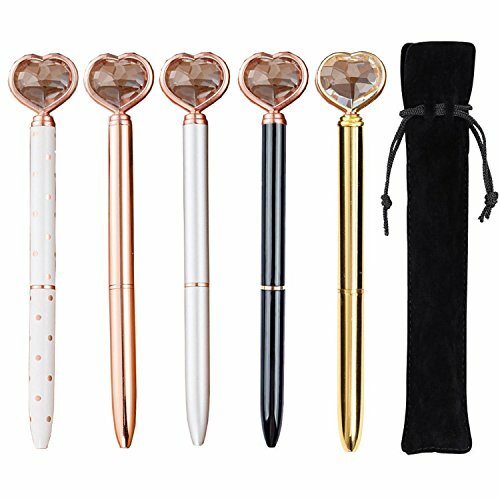 Specification: ● Dimension: 14*0.9cm/5.51*0.35inches ● Material: Metal ●Color: Rose gold, Silver, White with dot, White, Black Package Includes: 5Pcs × Ballpoint pen 5Pcs x Black Velvet Bags Satisfaction Guaranteed: ● 30-day money-back guarantee for any reason ● 18-month warranty for quality-related issues we take care of all quality-related issues with a replacement or full refund. If there is any question, please feel free to contact us. We'll offer you the best solution. 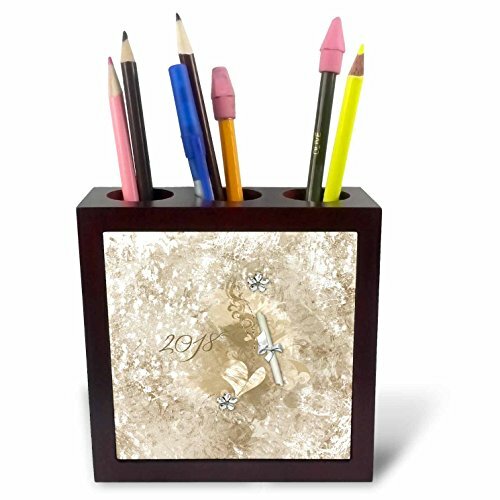 Graduation, 2018, Diploma, Hearts, Crystal Flower, Sepia Tile Pen Holder is great on a desk or counter top. Made of high quality solid wood with a satin finish. Image displayed on one inset high gloss 4.25" x 4.25" ceramic tile. Overall size is 5" x 5" x 1 2/3" with 3- 1 1/3" top holes. 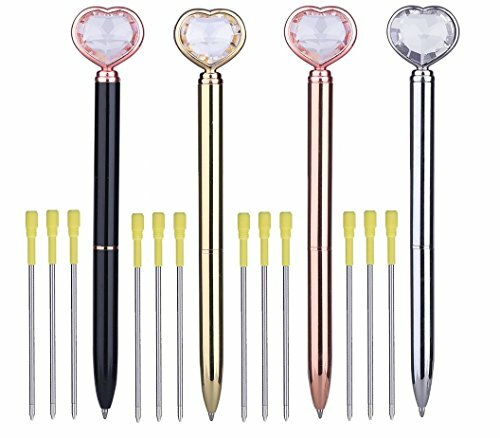 Looking for more Crystal Heart Pen similar ideas? Try to explore these searches: Riding Mower Blade, rj11 Crossover, and Dodge Grand Caravan Cargo Van. 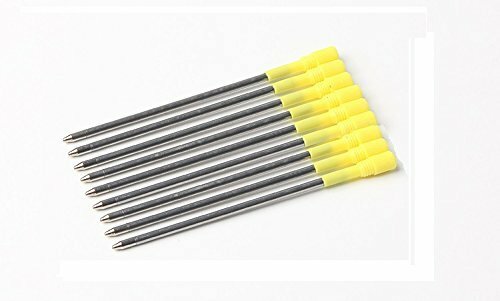 Look at latest related video about Crystal Heart Pen. Shopwizion.com is the smartest way for online shopping: compare prices of leading online shops for best deals around the web. 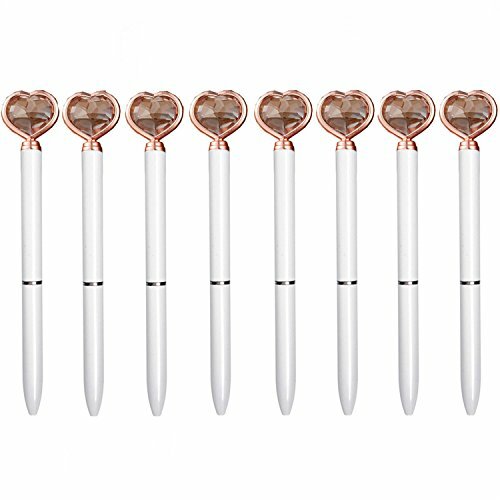 Don't miss TOP Crystal Heart Pen deals, updated daily.